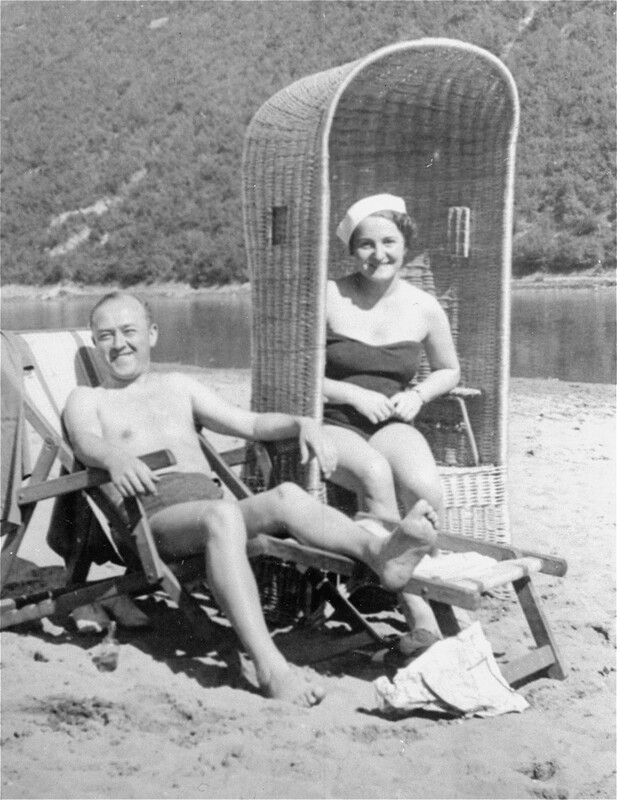 Sophie's parents, Daniel and Laura Schwarzwald, pictured on a beach in Zaleszczyki, Poland, shortly after they were married. Poland, 1935. 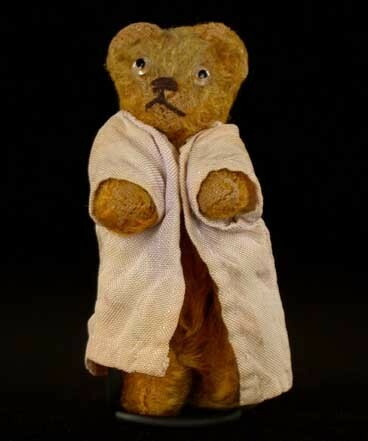 At some point after the war, Sophie received this small stuffed bear (about three inches high) as a present from her mother. She named it “Refugee,” just like she and her mother were refugees of the war. 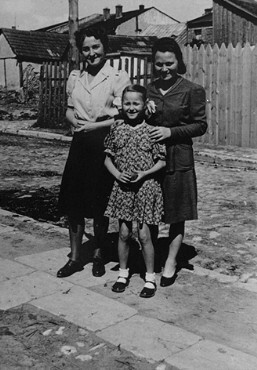 Laura Schwarzwald, her daughter Selma, and Laura's sister, Adela Litwak, in Busko-Zdroj. Poland, 1947. 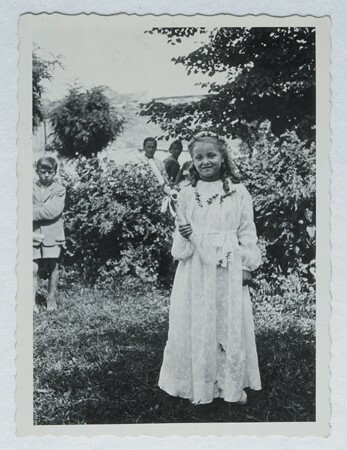 Selma Schwarzwald poses outside while wearing her first communion dress. 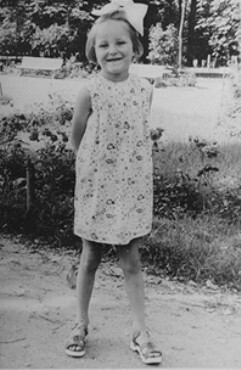 Selma lived in hiding as a Polish Catholic during the war. Busko-Zdroj, Poland, 1945. 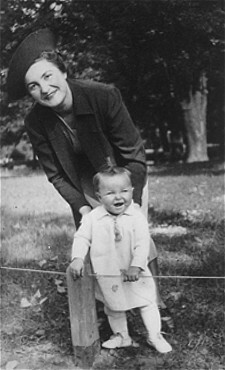 Selma Schwarzwald and her mother, Laura, in Busko-Zdroj on the occasion of Selma's first communion in 1945. 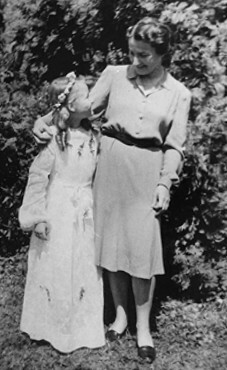 Selma Schwarzwald and her mother, Laura, in Busko-Zdroj on the occasion of Selma's first communion in 1945. Selma and Laura lived under false identities. Sophie had gradually forgotten that she was Jewish and did not learn of her Jewish identity until after the war. Busko-Zdroj, Poland, 1945. Selma Schwarzwald while hiding under a false identity in Busko-Zdroj. 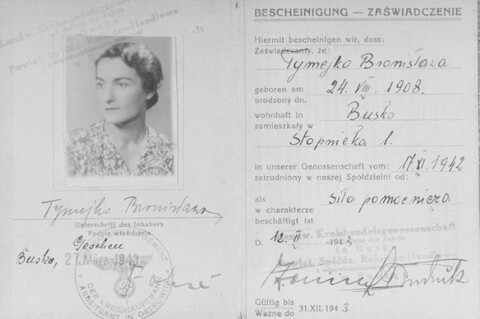 Selma Schwarzwald while hiding under a false identity in Busko-Zdroj. Poland, 1943. 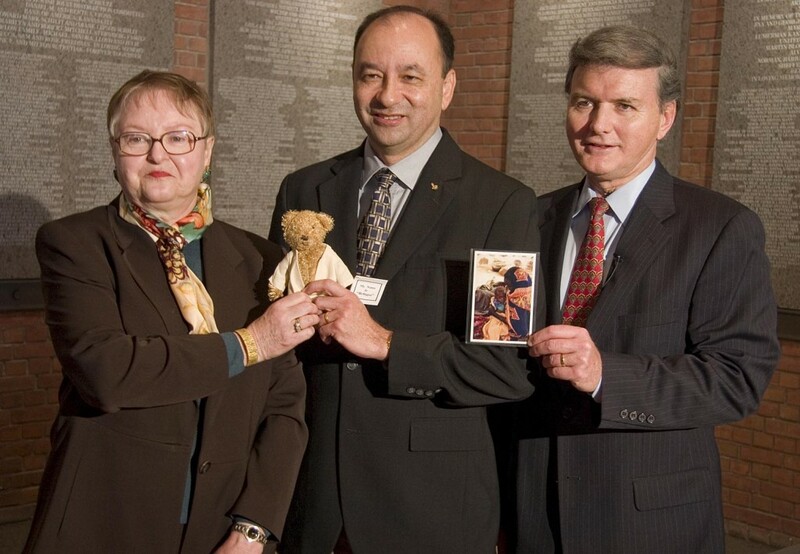 Dr. Sophie Turner-Zaretsky, Space Shuttle Discovery Commander Mark Polansky, and United States Holocaust Memorial Museum chief of staff Bill Parsons. 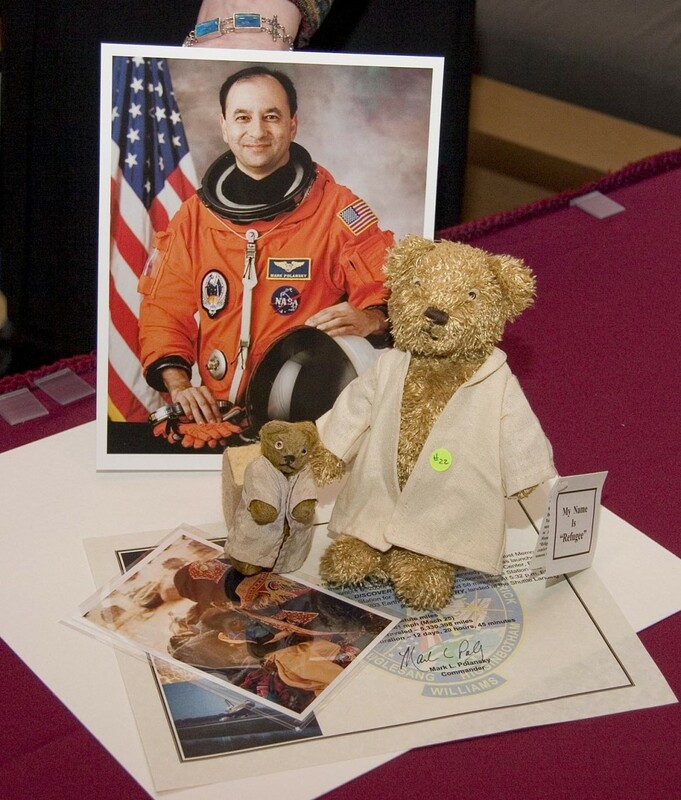 They are holding a replica of "Refugee" bear and a photo of a Darfurian child refugee, items taken by Commander Polansky on a December 2006 Space Shuttle mission.